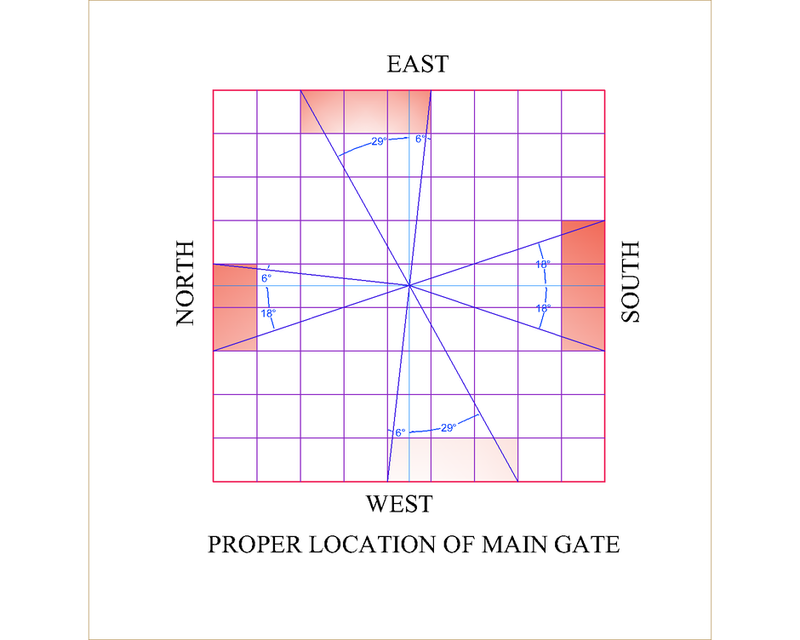 This website aims to provide simple and elobrate concepts of indian vastu shastra in simple way, so that it can be applied in practices. Plans for residential buildings, Industrial Premises and small shops with their suitable interior are provided for downloading. 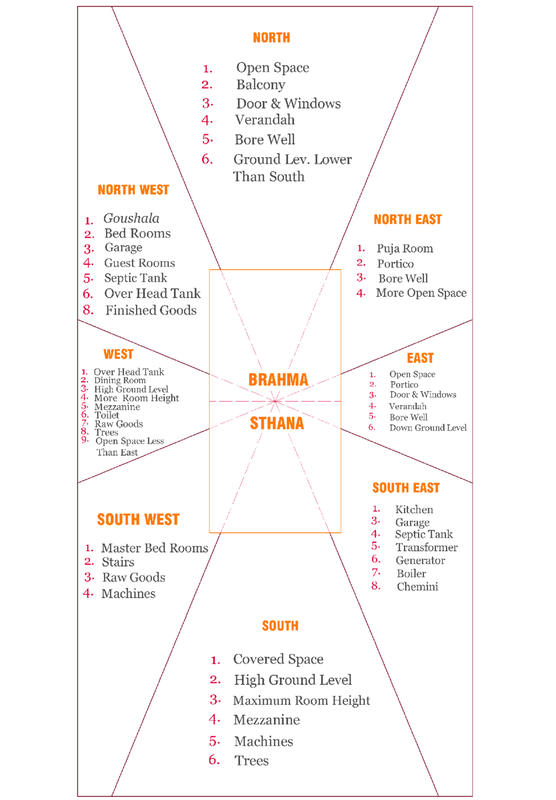 According to Indian Vastu Shastra, Components of Building should be planned according to the directions. 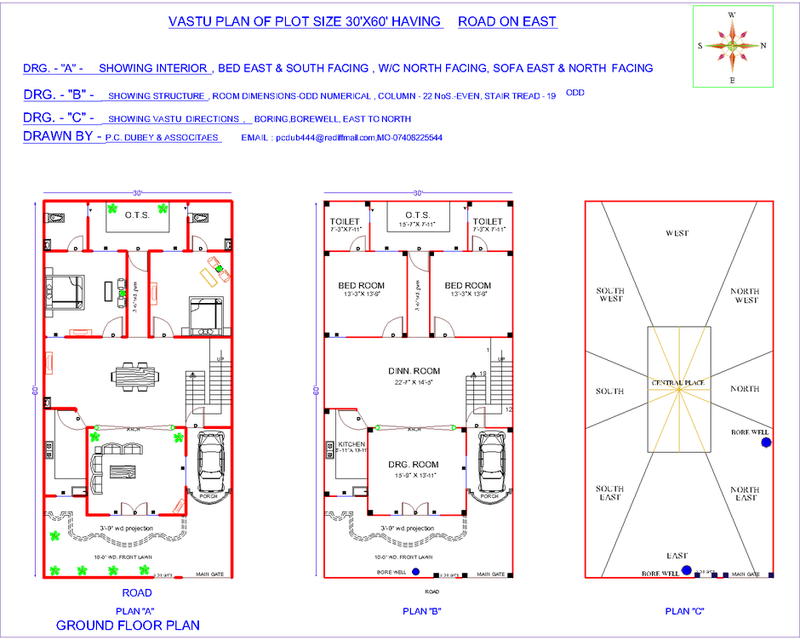 First of all Land should be divided in to Eight Parts as detailed in the plan below, thereafter, House planing is Done. proper placement of Components of a house are presnted in the form of drawing. Shaded portion is the right place for main door opening. Q.. What is the proper position of Bed in Bed Room? Ans. While sleeping the head should be towards East, it gives peace of mind and power. Sleeping with head on South gives sound sleep and money.other orientations are not recomonded. Q.. Should South facing house be avoided? Ans. 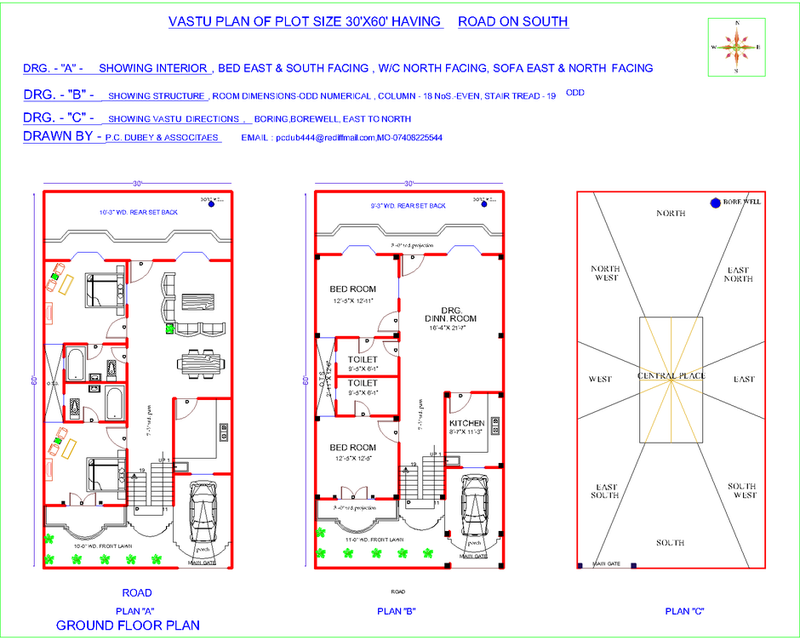 South facing plots need more careful planning. 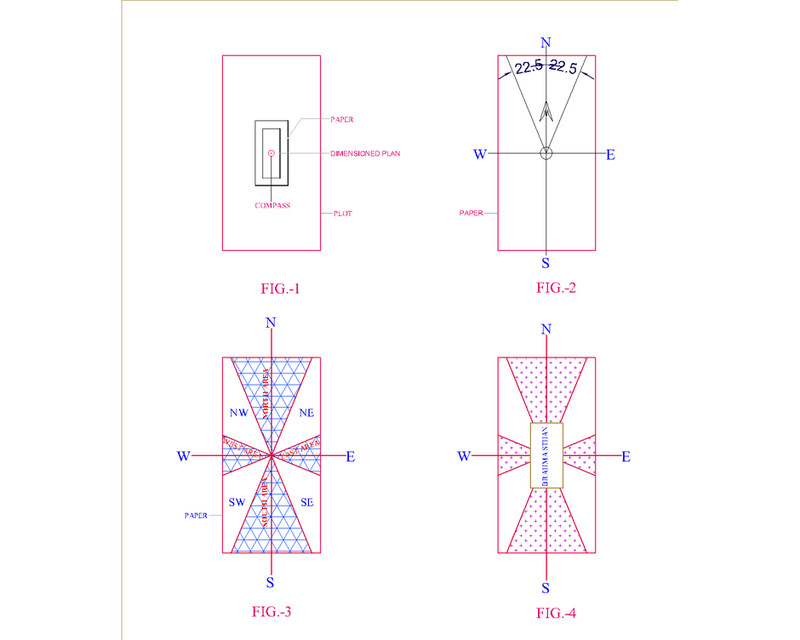 If main gate and other components are planned accurately, it is not harmful. You can download our residential plan interior to understand better. we are a Civil Engineering Consultancy Firm viz. P. C. Dubey & Associates. Having office at 17, Industrial Estate, Vijay Nagar, Kanpur. 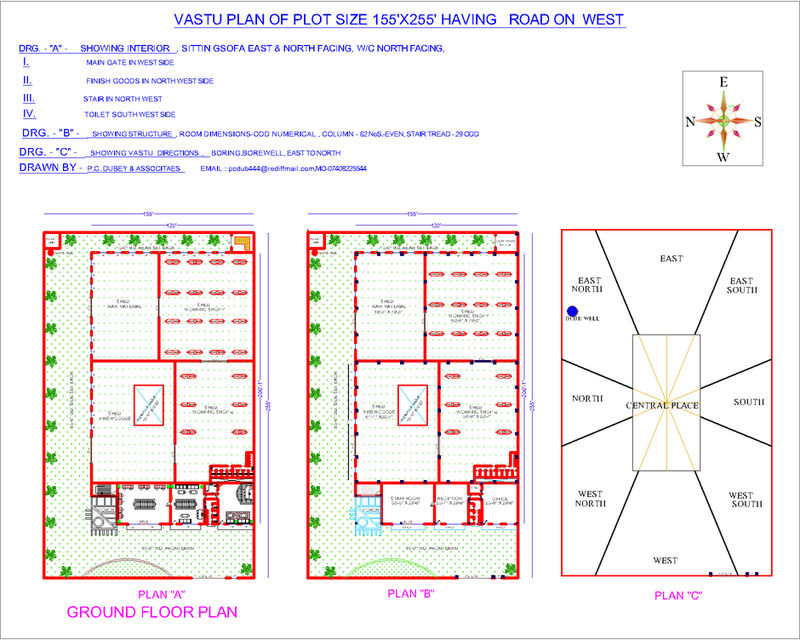 In the Last 15 years of planning of houses, Industrial Units, and complexes, we have sketched more than two thousand plans using theme of Indian-Vastu Shastra. It is observed that people Residing in houses planned according to Indian Vastu Shastra are in better state of mind & health. 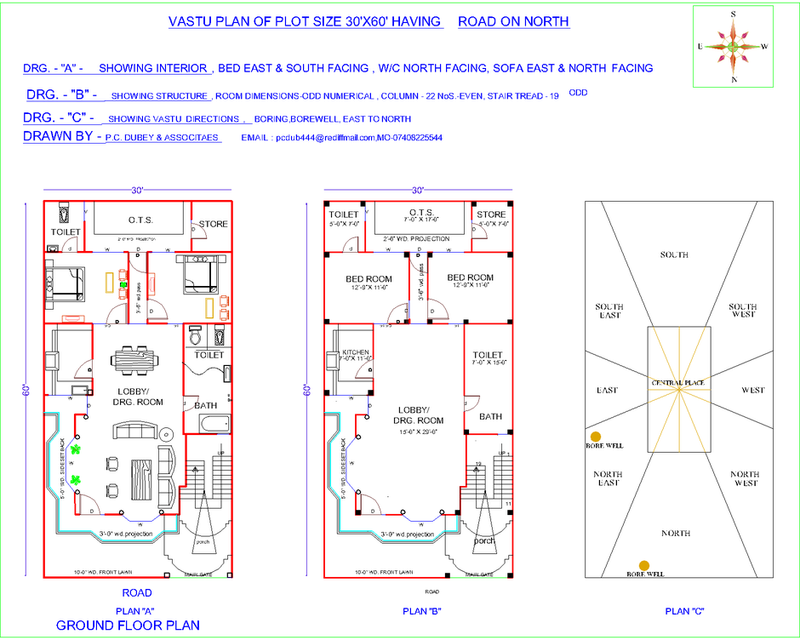 Seeing the Importance of planning a book of Indian Vastu Shastra in Hindi viz. 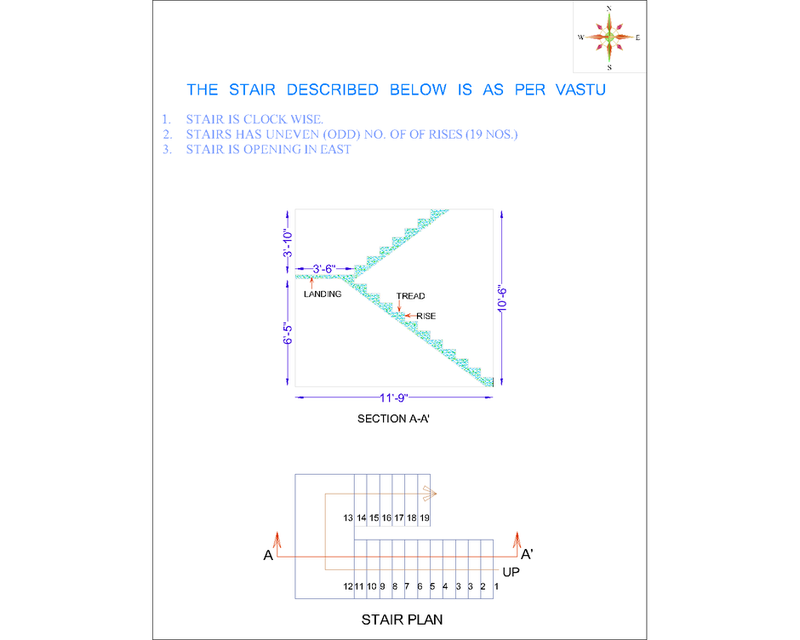 "Bhartiya Vastu Shastra- Aaj Bhi Prasangic" is published. It has Twenty Nine Complete Plans of Residential & Industrial plots. Book of Monarch Publication Kanpur Costs Rs 350/.It can also be purchesed by E-mail request on owr Mail Address -pcdub444@gmail.com.Part of book is published as web site to make this subject of planning more vivid. 1. You can also get complete plan Structural details, working drawings and Interior for construction.Drawing/Drafting fee depends on plot size & detailing Required. mail your request to -pcdub444@gmail.com.